Katalog s tipy na zdobení a využití originálních dortových forem zn. Wilton - náměty roku 2012. Celkem 248 stran, měkká vazba, v angličtině. The new 2012 Wilton Yearbook adds new excitement and fun to all your celebrations! Start with our special section, Punch. Cut. 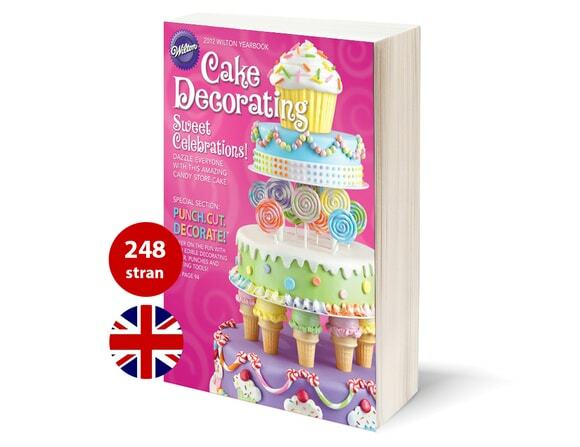 Decorate!, and see how we?ve made it easier than ever to create that perfect cake or treat. 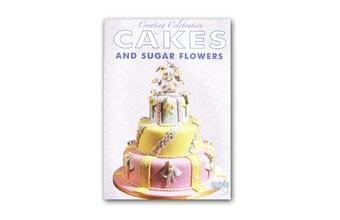 In this section, Wilton brings the fun and versatility of paper crafting to cake decorating with our new Sugar Sheets! Edible Decorating Paper. You?ll see how easy it is to use the many dazzling colors and patterns of Sugar Sheets!, along with the complete line of shaped punches and inserts to makeamazing borders and designs. 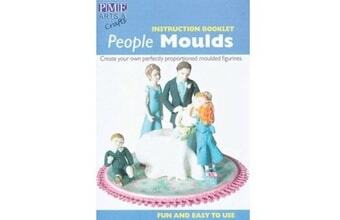 From dimensional bows and blossoms to quilling loops and stand-up butterflies, this special section will help anyone create something great. Also in the 2012 Yearbook, you?ll find more than 230 designs for every occasion. 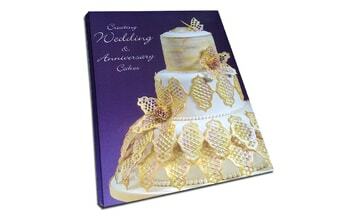 Discover great theme birthday cakes, colorful holiday treats and dramatic tiered wedding creations to suit any taste. 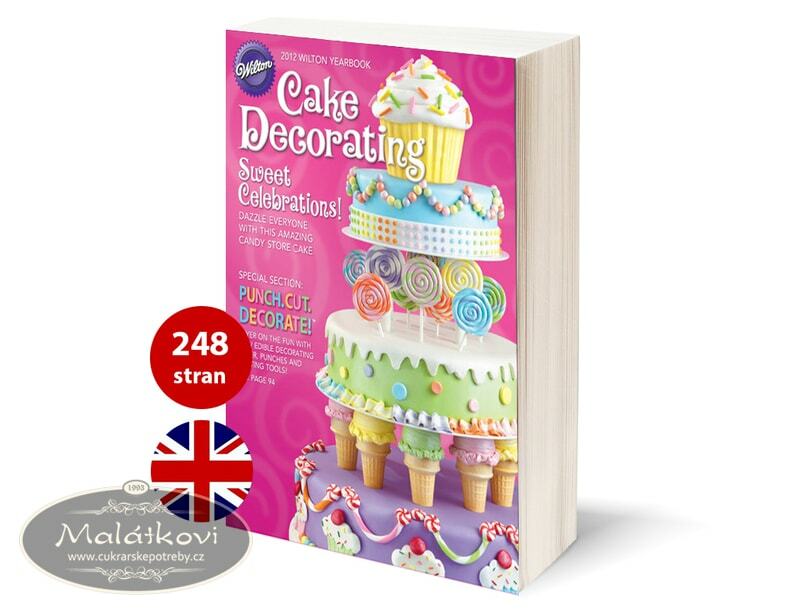 As always, the Yearbook is the ideal resource for the decorator, with step-by-step instructions, decorating techniques, a complete product section and a website link to more great designs.